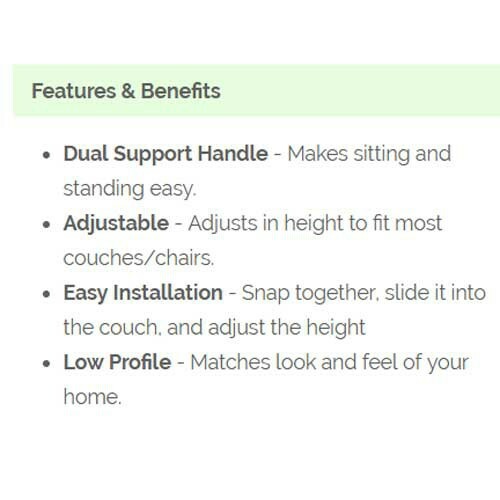 Able Life Universal Stand Assist is a mobility assist device that offers an easy way to transition from sitting to standing from any seating device, including chairs, couches, or recliners. 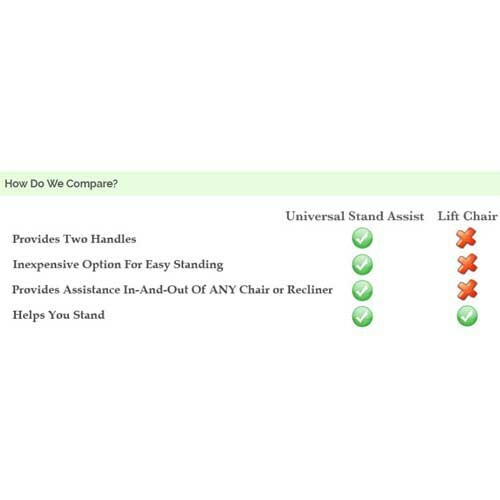 The Universal Stand Assist will fit under or on top of seat cushions. 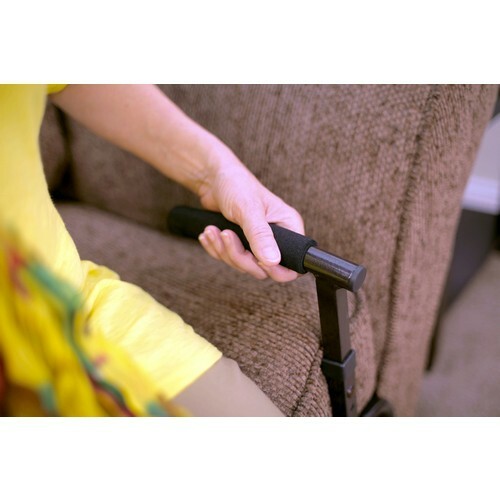 It provides a sturdy handle to use for a steady and safe transition from any seated position. 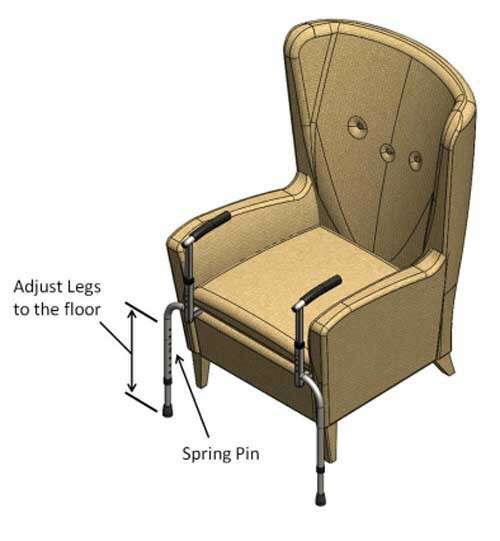 It may be adjusted in height, depth, and width to fit a wide range of couches and chairs (H 22" - 32", D 23" - 26", W 19" - 26") as well as too fit the needs of the individual. 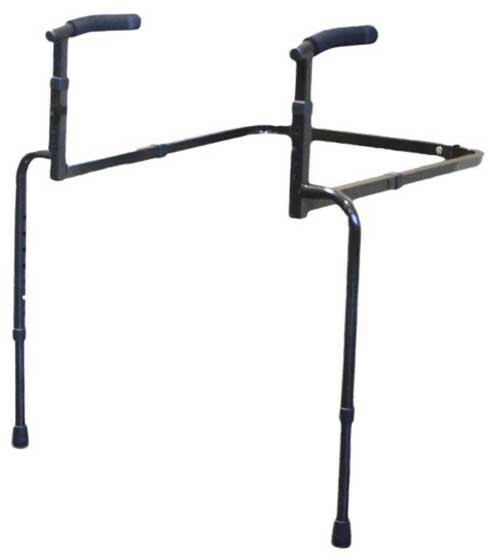 The Able Life Stand Assist supports up to 300 pounds. 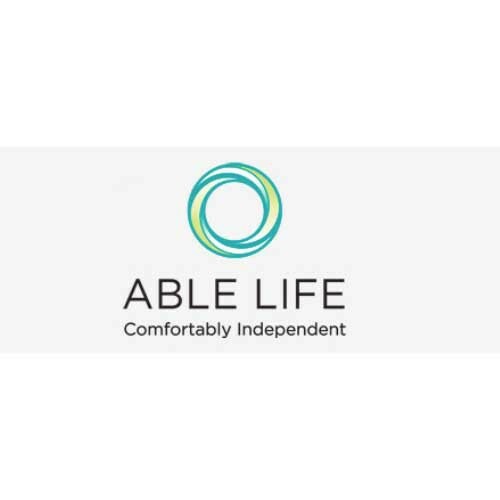 Able Life manufactures many mobility assist products, including the Able Tray, Auto Assist Handle and the Ceiling Grab Bar. 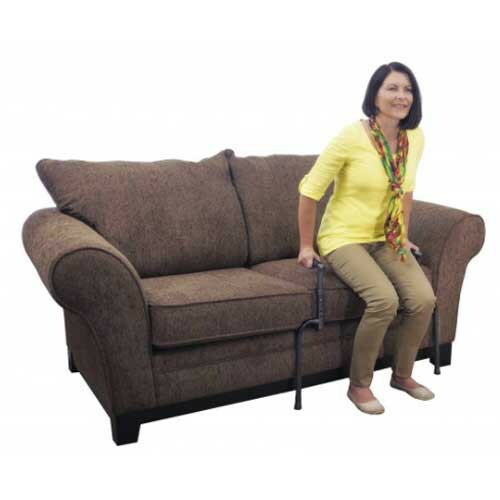 Stand safely from any couch, chair, or recliner. 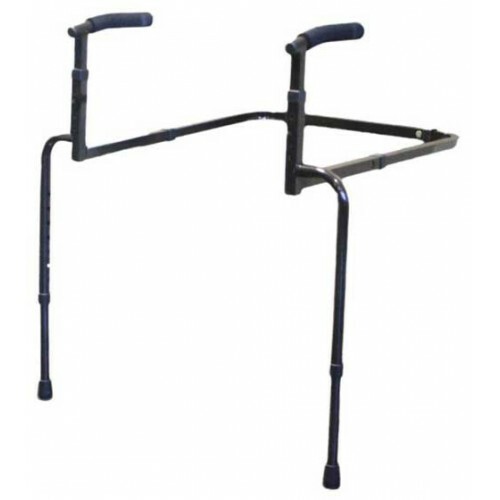 Dual support handles support the mobility patient transitions from or to a seating position. Cushion handles make grabbing comfortable. 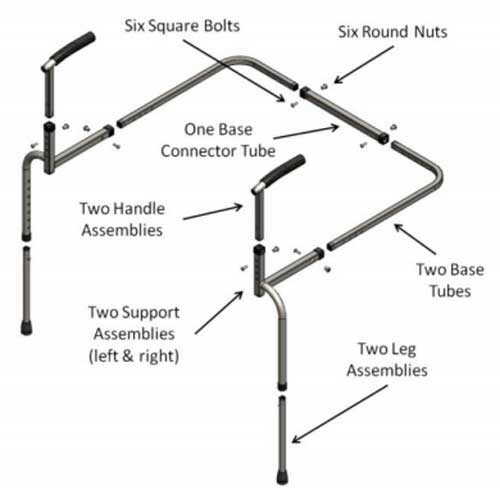 Universal fit to most furniture seating. 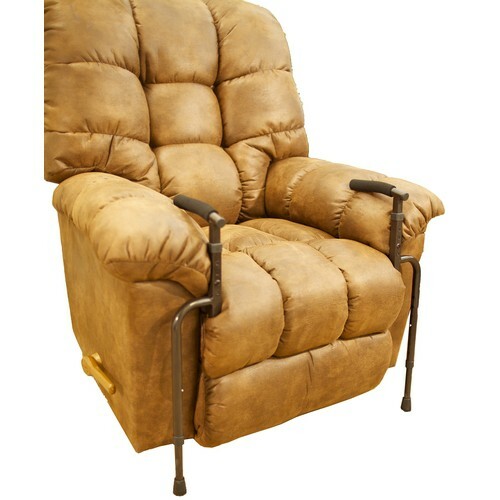 Fully adjustable in height and depth. 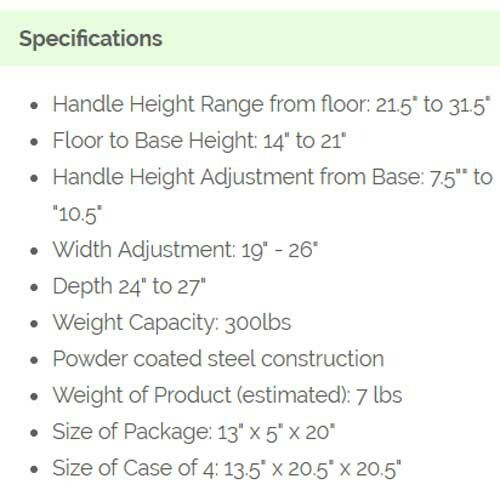 Handle Height Range from floor: 21.5 to 31.5 Inch. Handle Height Adjustment from Base: 7.5 to 10.5 Inch. Width Adjustment: 19 - 26 Inch. Depth 24 to 27 Inch. Size of Package: 13 x 5 x 20 Inch. Size of Case of 4: 13.5 x 20.5 x 20.5 Inch. 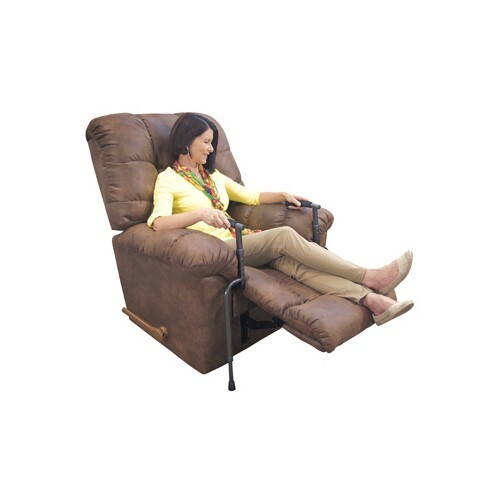 Product Instructions contains details for setting up and operating this assist device along with the warranty info. Does this work on regular restaurant chairs that have no arms? My husband can lift himself with arms on chairs but we are quite helpless when we go to a restaurant and he needs help to get up. 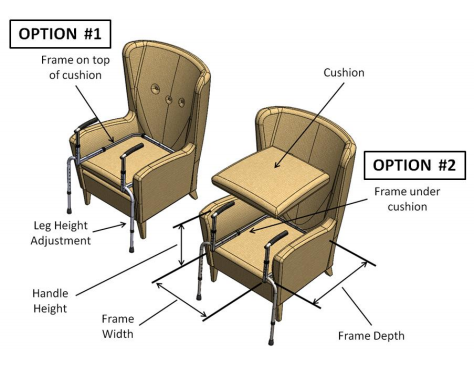 It depends on the chair types the restaurant uses; however, typically this only works on sofas or seats with an opening that allow for it to be tucked underneath. Does insurance cover this with a script? 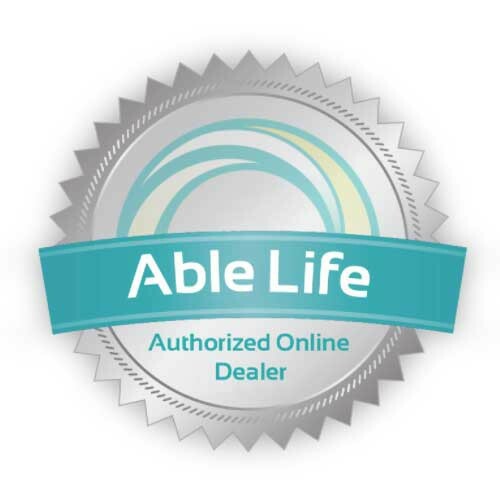 We do not require a prescription for this item, so it can be purchased at any time. We do not bill Medicare or insurance companies; it's best to contact your insurance company directly for information about reimbursement.